There is something about bridal (and baby) showers that seem to make people simultaneously warm and fuzzy while also causing them to cringe. We love the idea of celebrating a happy couple's upcoming nuptials or a mom-to-be's joy, but do the majority of people really enjoy being forced to play party games or embarrass themselves in front of a group of people? Probably not. 1. Start with the budget. Yes, that's a boring one, but no one wants to go completely broke when planning any sort of party and it will help determine many of the details (location, food, etc). Think of the bride, her personality and what sort of get-together she would enjoy. Then, sit down with her (or her mother, best friend or fiance if the shower is a surprise) and plan the guest list - not too big, not too small. 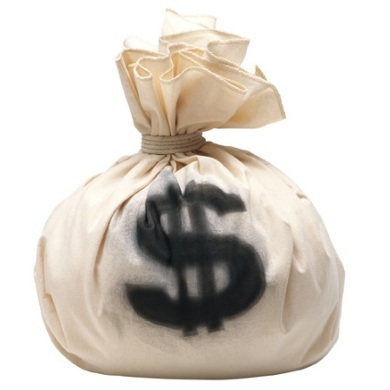 Again, the budget will help determine how many people to invite. 2. Pick a theme. I'm all for themes, they just make any party fun. It doesn't have to be an elaborate theme (unless you want it to be), it can be something as simple as the bride's favorite color or using polka dots in the decorations. 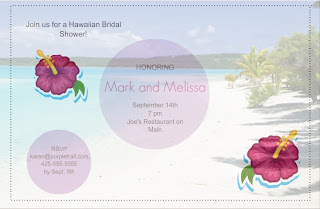 When my brother was getting married, I helped throw his wife-to-be a surprise Hawaiian-themed bridal shower and easily incorporated palm trees, Hawaiian leis and flip flops into just about every aspect of the party. We even pulled out our flowered shirts to wear! 3. 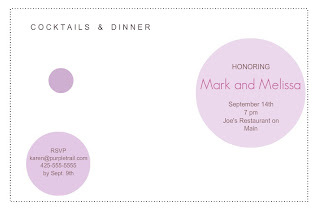 Set the mood with fun invitations. The invitations set the tone of the party and don't just give guests the facts of when and where, but give them an insight as to the whole affair itself. Whether you make them extravagant or straight to the point, you want them to get people excited about the upcoming shower. One great site to design and fully customize your creations is PurpleTrail. 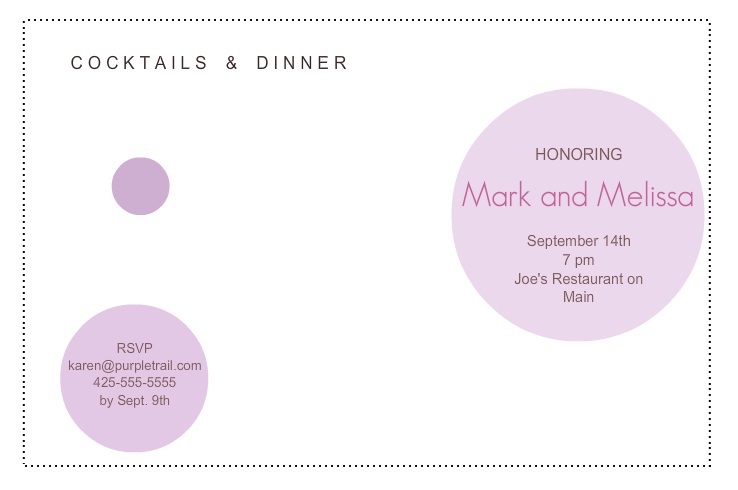 Founded with the goal of allowing their customers to love their invitations and cards, PurpleTrail makes it possible to craft a truly unique item for every occasion. With no limit on the number of photos you can upload or the embellishments and text you can add to your design, you can be sure that the finished product is always going to be exactly what you envisioned. 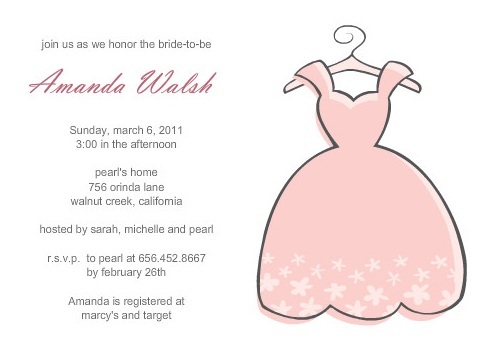 When it comes to bridal shower invites, PurpleTrail has a great selection of pre-made designs to choose from. 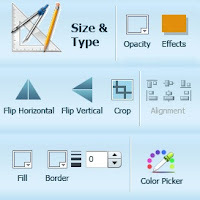 However, with their online design studio and all of its options and possibilities, each style can be personalized or changed - whether only a word or two or a complete overhaul. Or, for the creative type, pick the Make Your Own Custom Design option and start from scratch. Not my best work ever, but for my first try for a Hawaiian-themed bridal shower invitation, I didn't think it was too bad. My next attempt would be to upload my own picture (maybe of the bride and groom?) 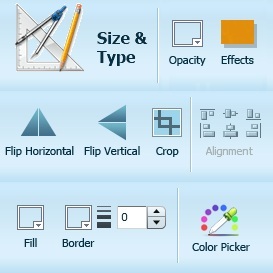 and use the Opacity tool to set it as the background. How cute! 4. Decorate! Most bridal showers that I have attended have been in the hostess' home (versus a restaurant or banquet hall) so extend the chosen theme through the tablecloths, plates, napkins, flowers, music etc. For my sister-in-law's Hawaiian bridal shower, we found inexpensive dishes, knick knacks and more to keep the tropical feeling throughout the room. 5. The food is another great way to continue the theme. You don't have to go all out with fancy food just to have a fancy shower, but it does help. Finger foods are always great and just make sure there is enough of a variety and that you have provided for any guests that have specific diets or allergies. 6. The games are usually the source of what makes people cringe at a shower. On the plus side, they break up the awkwardness and take away from people just sitting around feeling out of place. On the minus side, not everyone wants to get up in front of a bunch of people that they don't know and be wrapped in toilet paper to resemble a bride, so just keep that in mind. Usually activities or games that involve knowing the bride and groom are fun and the internet is a great source for all sorts of bridal shower games that can be used to break up the time during the party and keep things moving. 7. Gifts are, of course, the whole point of a shower. However, it seems to have gotten more common to not open up all of the gifts during the party as then the guests don't have much to do during that time (and the recipient feels a little weird doing it on display). On the other hand, I always like to see the reaction from the people that I give gifts to (and hope that it's a good one), as well as being interested in all of the other fun items she is receiving. 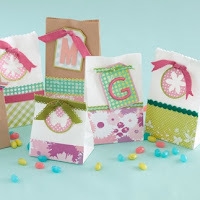 A good idea might be to sit down with the bride before the shower and get her thoughts on whether or not she would like to involve gift-opening during her party. 8. Favors aren't a requirement, of course, but it's nice to show appreciation to guests for coming and bringing a gift... plus, who likes to go home from a party empty-handed? 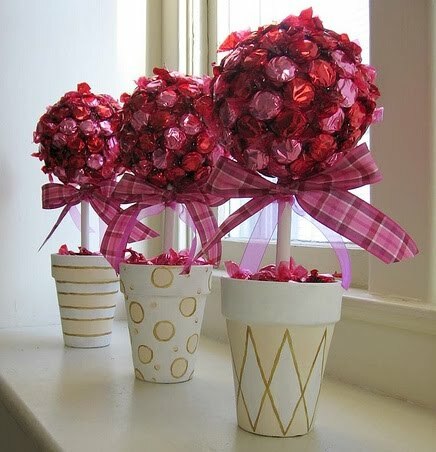 Edible favors are always a crowd favorite and can be store-bought or homemade, depending on the budget, time and talents you might have. It's hard to remember, but I believe that we found cute flip flop-shaped containers and filled them with candy for my sister-in-law's shower. Yum! 9. The schedule doesn't have to be set in stone, but it's nice to give people an idea of how much time is remaining during a game or how much longer until it is time to eat. Be sure to have some indication as to when the party is over as well so that guests won't feel obligated to stay if they have somewhere else to be. 10. The main thing to remember is to have fun! All that matters is that the bride is able to thoroughly enjoy herself and this special occasion and that you have done your best to make sure the guests are comfortable. Otherwise, no need to stress! Just go with the flow and savor the laughter and friendship and how much the bride appreciates all that you're doing for her! So, what do you think about bridal/baby showers? Do you like them or do you avoid them like the plague?